The Retrievers ONLINE website is a Retriever Trainers Information Center. At launch it had a selection of some of our best information from 25 years of publishing Retrievers ONLINE, the magazine. Eventually it will contain much information that you can read online or download to your computer to read and review at your leisure. Following is a guide to the site. Under the Home tab you can read About Us, Find this Guide and view a sampling of Testimonials. 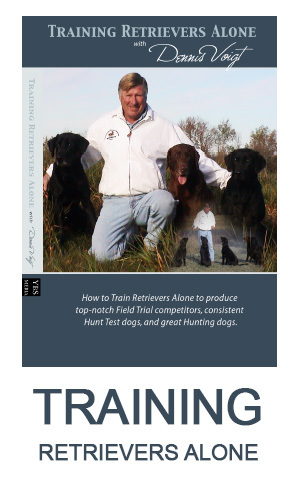 These are collections of the Best of Retrievers ONLINE magazine articles on specific training and handling topics. We have put together these custom collections based on needs that you have identified over the years. For the first time you can get a collection of articles that provide comprehensive information on a single subject. 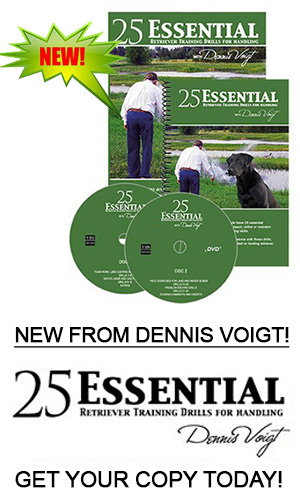 No longer do you have to wait years to get a set of Marking Set-ups or Tips on Becoming a Better Handler or Methods to Improve Blinds! At launch we had 5 collections and we will add to these on a regular basis so keep checking back. We will also occasionally write new articles as well as update old ones. However, for the most part these articles are as originally published. You can read about each of the articles in the "best of ONLINE" Collections. Here you cab click on a Buy Now. We will need to gather some information from you. You register so that you can come back and look at purchased material later if you wish. Or, you can simply download the files which are in a pdf format . They will print similar to the original magazine article. We are using PayPal to process your payment but you do not have a PayPal account to purchase. You can use our VISA, MasterCard or. All purchases are charged in US dollars (USD). For Canadian customers, we will pay the HST costs for your province in your purchase. You will not be charged extra for HST! There are no shipping and handling fees for your digital downloads! Blog -This menu contains our news and information. Thecurrent blog and news can be found on the Home Page but here you can view the archives and posts you may have missed. Links-This is a page with some important links to other Internet offerings that could be valuable to you and which you may want to visit. In some cases we provide comments about content. Although we no longer publish a printed magazine, we still have an inventory of magazine back issues. These are typically bought by year (volume) but individual issues are also available. These are a wonderful addition to your library. Many people enjoy reading an issue (or re-reading regularly) in a quite pensive environment away from the computer or while on the road. We regularly do that ourselves and often get reminded of some important information as we plan to develop a dog. You can find out which issues are still available as well as an idea about content here. Availability and prices vary but we have most issues from 2004 to 2014. You can only order these issues by contacting us directly through email. We will accept checks or credit card purchase for these back issues prior to shipping. We pay HST for our Canadian customers. Here you can reach us with a question or comment. Realize that sometimes we are on trips or in remote locations but we will strive to get back to you as soon as possible always. This provides information on advertising for corporations, small business, products, clubs and individuals.. At the current time, we will not be offering litter advertisements but we can advertise your kennel, or stud dogs and provide links to your websites. You will find our rates extremely competitive.